Not just a photo booth, this is the future of the custom photo experience in 3D. Matrix Cam can be fully branded or partially skinned. Guests enter the Photo OP area. SNAP! All 3, 5, 7, 12, 24, or 48 cameras fire instantly. These images are compilied into one shareable GIFs or MP4. The Guest shares to social media. 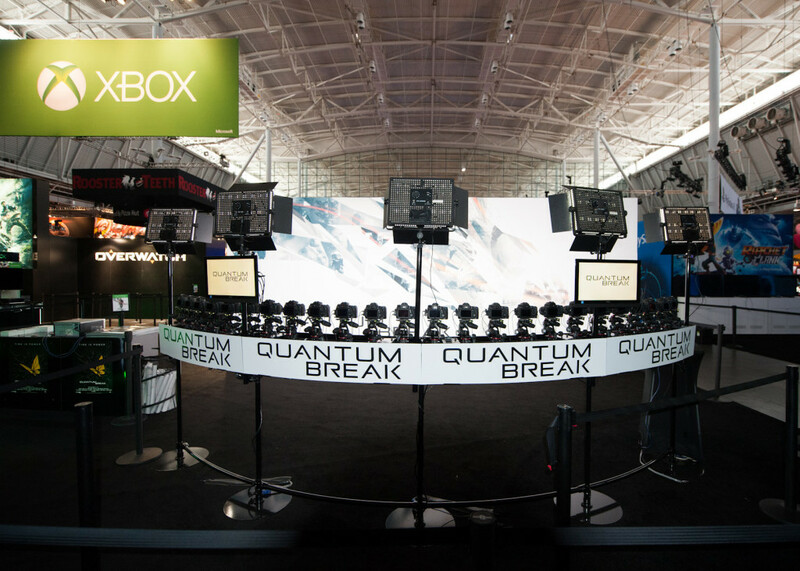 When you need wow factor, or just the next level photo booth, you need the Matrix Cam. Limelight offers bullet time camera array systems in all sizes. from a simple 3 camera setup, to a huge 360° build out. Freeze time with this unique and exponentially shareable product!